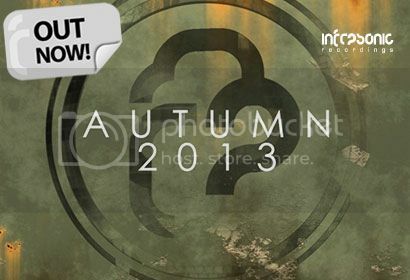 Infrasonic Autumn Selection 2013 [Infrasonic] | OUT NOW! Thread: Infrasonic Autumn Selection 2013 [Infrasonic] | OUT NOW! Summer may be over for another year, but we’ve got you covered with a meticulously hand-picked selection of autumn soothers that will for sure leave you with a warm feeling inside. We have carefully chosen 10 of our favourite tracks to comprise our Autumn selection bundle, featuring some of Infrasonic’s biggest and brightest stars, such as: Harry Square, meHiLove, Solis & Sean Truby, UCast, Santerna and many more. What better time to stock up on your Infrasonic favourite’s than with this essential bundle of electronic goodies.